How do you use AR to create a more engaging shopping experience? We built and integrated a new Augmented Reality platform into the existing Foot Locker mobile app. We launched the new functionality with an innovative AR scavenger hunt in L.A. tied to one of the biggest sneaker drops of the year. The actual clues were influenced by perceptual art and featured three dimensional AR installations inspired by the newly minted Laker. Foot Locker is always looking for new ways to innovate and improve the shopping experience for its customers. 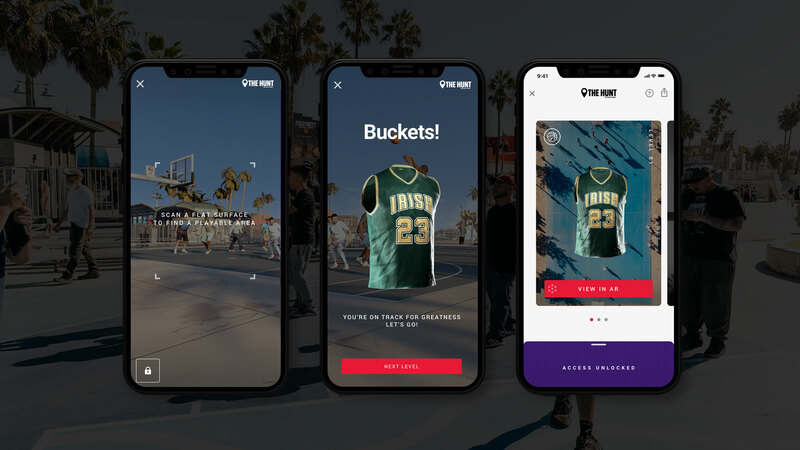 As a result, the brand tasked Firstborn to integrate a new Augmented Reality functionality into their existing mobile app—allowing them to offer customers exclusive content and experiences timed to limited-release product drops. 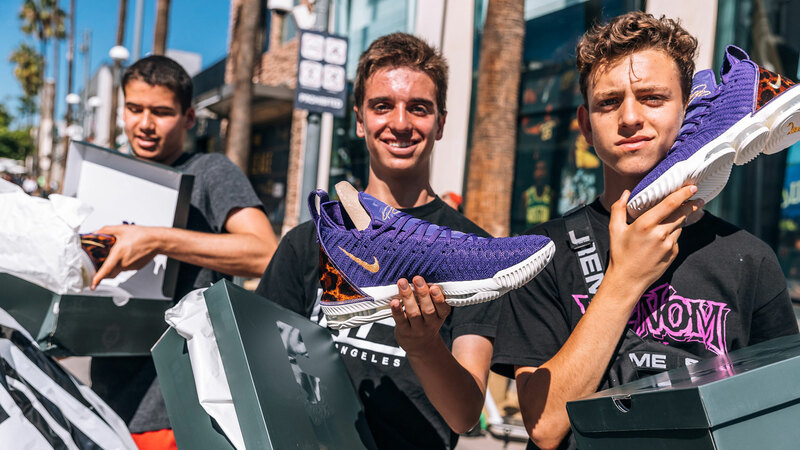 The inaugural experience came in the form of an AR scavenger hunt coined “The Hunt”, timed with one of the most anticipated shoe drops of the year — the new LeBron 16 King “Court Purple” sneaker launch. To celebrate LeBron’s regular season debut as a Laker, we offered sneaker-obsessed consumers in Los Angeles a chance to be one of the first to buy a pair. 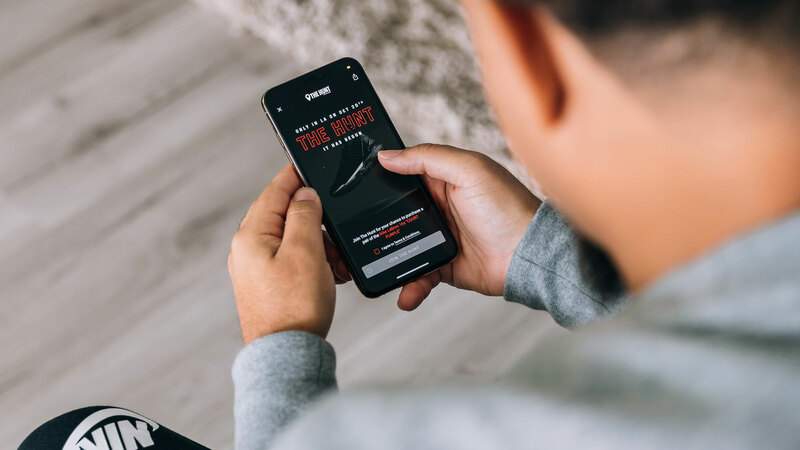 But instead of camping out in line for their kicks, fans were invited to engage in “The Hunt”, using their newly updated Foot Locker app to unlock geo-targeted AR clues throughout the city, eventually leading them to the coveted limited-edition Lebron’s. The actual clues were influenced by perceptual art and featured three dimensional AR installations inspired by the newly minted Laker. Hundreds participated in “The Hunt” and the shoe sold out in less than two hours. We are continuing to partner with the brand to create new augmented reality experiences timed to hot product launches in the future.